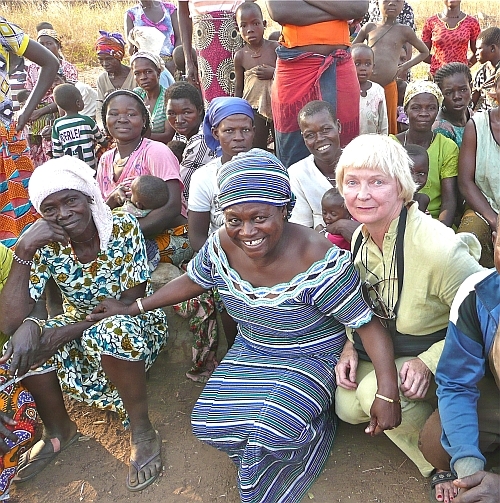 Journalist Paula Stromberg spent four months in Ghana, West Africa producing stories for local activists, ABANTU for Development, Pro-Link Organization, and a women’s legal rights group which encourages implementation of Ghana’s Domestic Violence Act. Stromberg interviewed women empowered by these groups either politically, legally or financially. In one project, Stromberg documented ABANTU-supported female political candidates in the 2011 District Assembly Elections in Upper West Region of Ghana. As candidates were given bicycles to reach their electorate, she produced a short documentary, Ghana-Women in Politics that is posted by YWCA-Canada, a joint-supporter of the Bicycles for Ballots project .